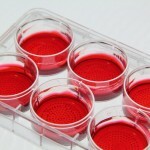 Categories: Uncategorized, Xeno-free Culture Medium, CellSphere™ 3D Cell Culture Plate. Most convenient Xeno-free and Serum-free culture media for or the growth and expansion of human Induced Pluripotent Stem Cells (h-iPSCs) and human Embryonic Stem Cells (hESCs). This medium is chemically defined and can be used for supporting the culture of stem cells in both 2D and 3D. This product replaces human or animal derived products, such as human and animal serum, and human and animal derived supplements. This product is packed in 10 convenient 50mL freezable medium bottles. No need to aliquot the big bottle anymore. Take one small bottle of medium to use and throw the remaining bottles in freezer for long term storage without worrying about the degradation of the medium components.